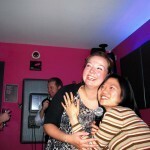 My colleague asked me join them for a Karaoke night in city centre. 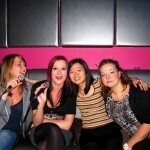 I never went to a Karaoke Bar in the UK, even though it used to my favourite place to hang out with my friends back to China. 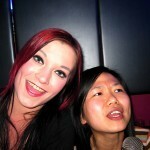 I always like singing and is a good way to spend time with your friends as well. It was different comparing in China. People in China were more focus on the quality of the hi-fi and the microphone sound, and they want to to be professional sounds. 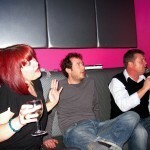 However, the quality of the hi-fi of that Karaoke bar was quite basic, people were more care to have fun. We got the most crazy and fun night ever. We were dancing, singing and had so much laugh, even some people I judy met them in the first time. They were so open and just had fun, no matter what! I like that attitude. This entry was posted in gallery, General 文章 and tagged china, city centre, friend, friendship, guangzhou, leeds, life by Carmen. Bookmark the permalink.